Halina Dunn from LMU München (left) talking about “Solar-Driven Water Splitting”. (Chairman Florian Beuerle from Würzburg on the right). 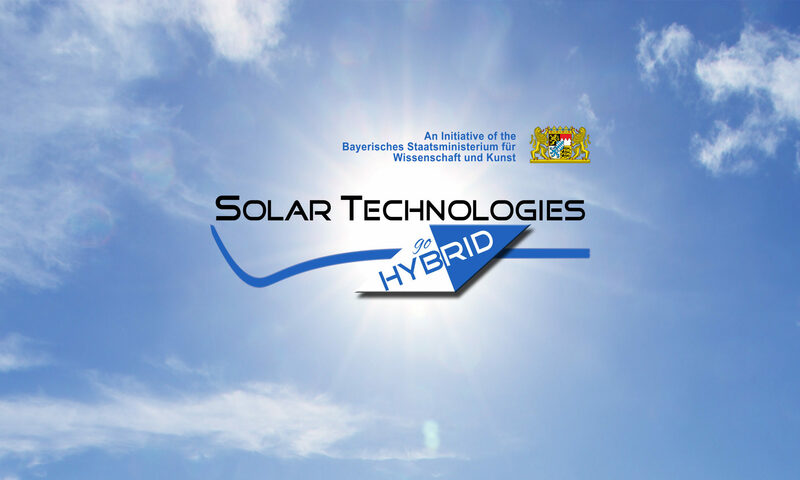 The second Soltech Workshop organized by Frank Würthner and Christoph Lambert from the Würzburg Key Lab followed the successful inauguration ceremony of the interdisciplinary project “Solar Technologies Go Hybrid”. Approximately 120 participants from the five involved Bavarian Universities came together at Monastery Banz to show their results in lecture and poster presentations. The workshop provided a good opportunity for each Key Lab to present their cutting-edge research results and to exchange valuable interdisciplinary experience and knowledge. Especially the five tutorial lectures, presented by Dirk Guldi, Jochen Feldmann, Tayebeh Ameri, Halina Dunn and Jürgen Köhler covered basic knowledge of highly interesting topics such as light-harvesting processes or solar-driven water splitting. Additionally, 16 short oral presentations and two engaging poster sessions delivered further insight into the research progress of the SolTech Key Labs. Another highlight during the workshop was the session titled “Challenges from an Industrial Point of View” in which two guest speakers delivered insightful lectures. Ralph Pätzold (BELECTRIC OPV GmbH, Nürnberg) spoke about “Organic Photovoltaic – Just Another PV Technology?”, and Hans-Peter Ebert (ZAE Bayern) spoke about „Innovative Solutions for Energy Efficient Buildings“. The two poster sessions with more than 50 posters instigated fruitful and intense discussions amongst the SolTech members. Two participants were awarded for their excellent posters with a poster prize sponsored by RSC: Hannes Kraus (Uni Würzburg) and Florian Auras (LMU, Munich). The bottom line of all lectures emphasized the importance of the research projects for “fueling” the future energy revolution. The next workshop is already planned for May 2014.